Here we have Bubbles and squeaky. bubbles is a seal tortie tabby girl and squeaky is her blue tabby sister. These are both on the gccf active register and have a very good pedigree. coming from a long line of champions and grand champion cats. squeaky is a champion herself. 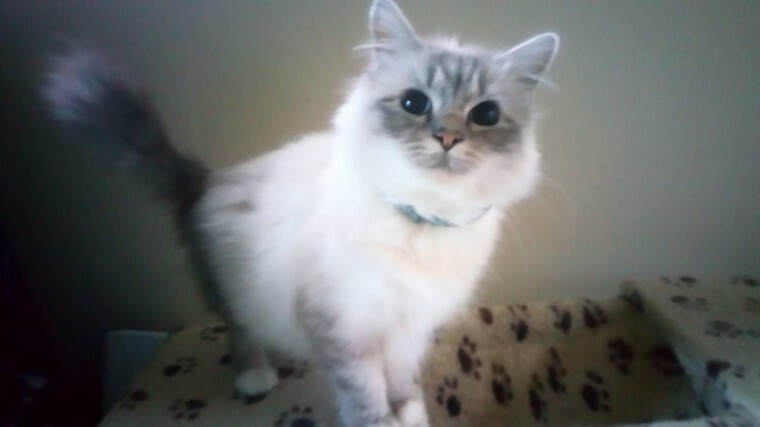 We have decided that after several years to stop breeding birmans. I want them to go together as they have always been together .even though bubbles is more dominant. they go together very well.. We have had some beautiful babies from them and they are excellent mothers. They have always been fed on royal canin biscuits and we give them Felix as good as it looks sachets as well as whitefish cooked in goat..s milk as a treat. These are obviously house cats. would ideally be suited to a responsible hobby breeder that would like to improve their lines.there are no restrictions.. Please contact me for further information.